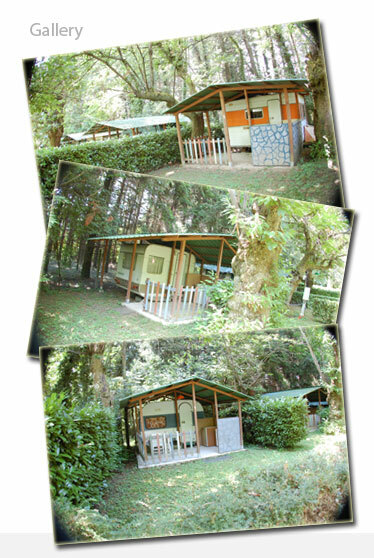 In the campsite there are 15 caravans of different sizes to be rented. All caravans dispose of a wooden veranda with table, chairs, gas cooker and fridge. Toilets and showers are placed outside in the communal restrooms. Showers are operated with 1,00 Euro coins. BED LINEN is charged 3,50 Euros per weekly change or upon request. During high season bungalows can only be rent on a weekly basis from Saturday to Saturday. Upon arrival a 100,00 Euro deposit is requested which will be refunded in case the caravan is left clean and without damages.